2017 Good Housekeeping Lab Test Winner! When you’re run down and stressed out, the delicate skin under your eyes really takes a beating, resulting in puffiness, dark circles and premature wrinkling. 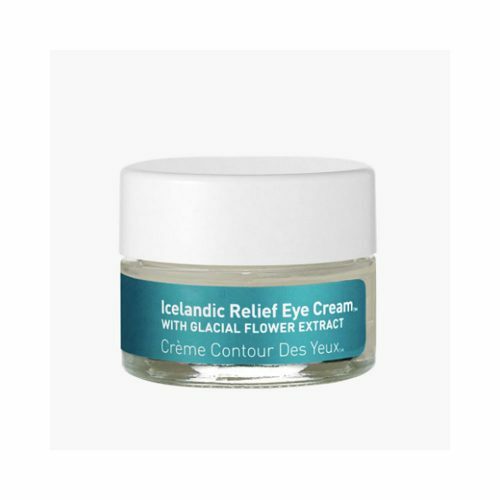 In just ten minutes, this cooling transdermal gel patch infuses the eye area with highly potent actives and Icelandic glacial water to firm, tone, brighten and reduce the appearance of puffiness and wrinkles. Eyes are revived, soothed and rejuvenated. Icelandic Complex, a proprietary natural blend that replenishes the nutrients that stress depletes. Sourced from Iceland’s pure and potent environment, it contains pollution-free Icelandic Glacial Water with 6 essential minerals to hydrate and detoxify skin, Arctic Cloudberry and Cranberry Seed Oils „super fruits of the Arctic“ rich in Omega Fatty Acids, Vitamins and potent antioxidants as well as Pure Molecular Oxygen which delivers energy into skin’s deepest layers to bring back a youthful glow.